Matthew Stafford is, without question, the best quarterback the Detroit Lions have ever had. He's the franchise's leader in touchdowns, wins, and passing yards by nearly 20,000 yards. And it's helped him earn a huge amount of money throughout his career, and particularly over the past 13 months. 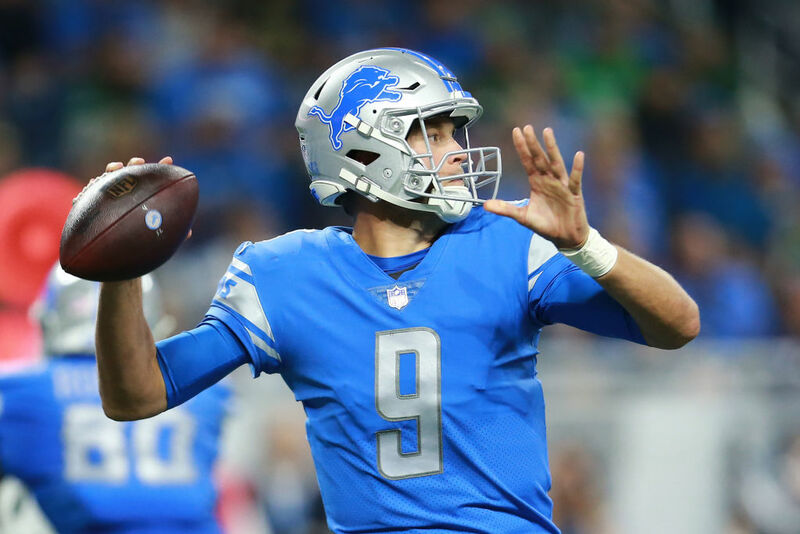 Stafford has made more than $58 million since August 2017, good for about $154,000 PER DAY. During the 2017 season, Stafford threw for 4,446 yards, 29 touchdowns and 10 interceptions. The Lions went 9-7 and missed the playoffs. Since entering the league in 2009, the Lions have still yet to win a playoff game under Stafford. And while he technically has a 5-46 record against winning teams, it's hard to pin all of the team's faults on Stafford. Of course, there are 21 other players on the field that are also losing those games. As we noted earlier, Stafford is the Lions' franchise career leader in a ton of major statistical categories. And the team has certainly put him to work – Stafford has surpassed 592 passes (37 attempts per game) six times in his career. The Lions have rewarded their quarterback, too. Stafford signed a then-record $135 million deal last summer. The new contract will pay him an average of $27 million through 2022, though obviously the deal is front-loaded, with a signing bonus included in Stafford's guarantees. It just goes to show how critical it is to earn guaranteed money in the NFL. Stafford had a clunker in Week 1 this year, but he still got paid. He's likely to bounce back, though it's comforting to know he'll be earning a ton of money no matter what happens. Matthew Stafford has put up big numbers in Detroit–and now, he's about to get rewarded handsomely. After a 1-3 start, Matthew Stafford suddenly has the Detroit Lions sitting pretty at first place in the NFC North. Just how much does he stand to earn with a new contract this offseason?